New sports marketing grads, congratulations. You will soon be receiving a degree that signifies the years of hard work that you have spent learning and mastering your craft. Unfortunately, that piece of paper alone is not going to get you to where you want to be. The sports business is one of the most competitive industries to get into, but once you make it, it can be one of the most rewarding experiences you will ever have. There is no one way to become an established member of the sports marketing field, but there are steps you can take to put yourself in the best position possible. Here are seven tips that I have learned in my academic and professional career that have helped me into the world of Sports Marketing. Regardless of your occupation, you need to ask yourself “What can I do today to add value?” The ones who can add depth to the situation are the ones who will stand out in the eyes of the employer. Anyone can read the score at the bottom of the sports ticker, but you need to add more to the story and show that you can be a step ahead of everyone else. Read, understand, add. While it is important to know the pulse of the sports industry, you would be doing yourself (and your marketing team) a disservice by only focusing on marketing practices from sports. Be mindful of news and studies from all industries and try to be the one who is able to bridge the information from other industries to the sports industry. Whether you are preparing for the job interview, preparing for a meeting with your company President, or preparing to make a pitch to an outside company, you can never do too much research. With how competitive the sports industry has become, it is blatantly obvious when someone has underprepared. There are 3 levels of readiness – not ready (no preparation), surviving (doing exactly what is asked of you) and succeeding (doing everything asked of you, and adding more.) The extra research will ensure that you are succeeding rather than surviving. You are only bound by your imagination and your willingness to work. There are many different positions in the sports marketing field and if you limit yourself to “I want to be in charge of marketing for a professional football team” chances are you will fall short. 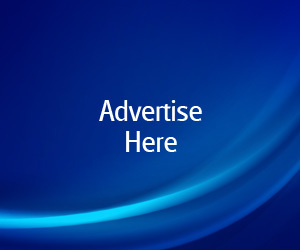 There are not only sports marketing opportunities with professional teams, you can look to obtain a position with an agency, brand, league, minor league team, media company, or a start-up to name a few different options. I have found that informational interviews are the single most effective way to learn more about sports marketing professionals and what it takes to make it in the industry. With the endless resources available, including Twitter and LinkedIn, there is absolutely no excuse for not being able to find contact information to get you in touch with who you want to speak with. Be polite, soak up information like a sponge, and be sure to stay in touch with those that you interview. While you should always be striving for top-level work, you need to make mistakes in order to learn and improve. If you’re not embarrassed by work or assignments you did years ago, you probably haven’t evolved or developed much. Mistakes due to inexperience are ok; mistakes due to lack of effort, research, and not doing your homework are not ok. There are thousands of people that would do anything to get the job that you are applying for; you need to figure out a way to stand out. When a colleague of mine’s phone calls and emails to executives were ignored, he has been known to send 6-foot tall bananas to these executives with a note attached that says “call me.” As strange as that sounds, these are the things that will make a difference between getting the job and wishing there was something else you could have done. 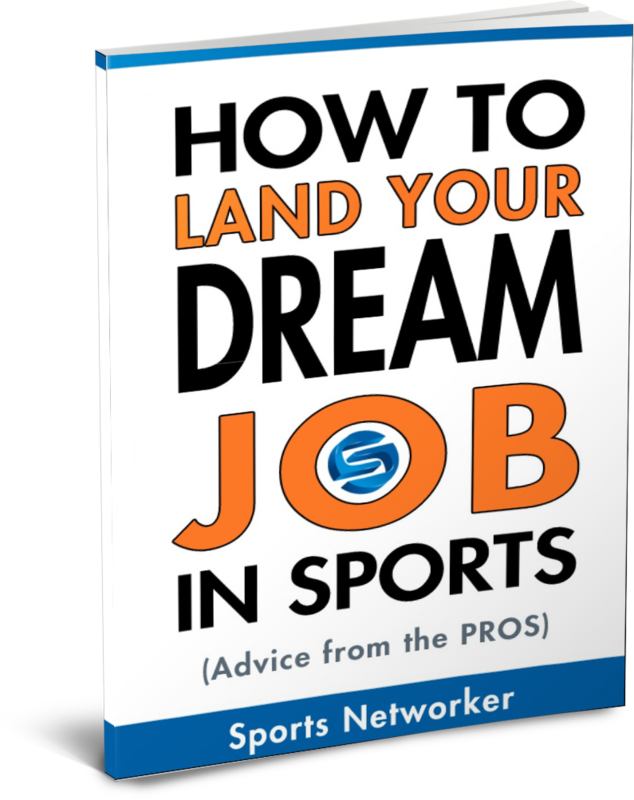 There are many lucky individuals in the industry that have landed the sports marketing job of their dreams, but as you know, luck is when preparation meets opportunity. Starting with these tips, you need to do everything you can to prepare yourself to enter this highly competitive (and highly rewarding) field. The truth is that the harder you work, the luckier you get. 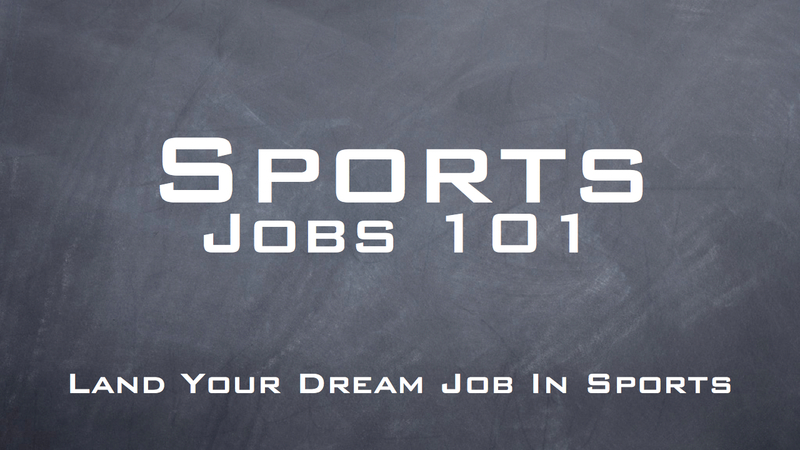 What are helpful tips that you have learned as you begin your career in sports marketing? Any other tips for new sports marketing grads? Comment below or tweet us! Will is the Marketing Coordinator for FOX Soccer Plus and recently acquired his Master’s Degree in Sport Management at the University of San Francisco. He is a sports business and social media enthusiast and is focused on growing the sport of Soccer in America. @JustinCuomo50 haha, it’s very Cellini inspired! It’s funny, but most of these points (except maybe #2) pretty much apply to a wide variety of jobs. This is practical advice in a time where the economy is truly tough, especially for competitive industries! Nicely done, Will. @dosjb thanks for spreading our article JB! @sportsnetworker you’re more than welcome, keep up doing good work and I’ll continue spreading your words on the other side of the Atlantic! @geoffreyswhite pointed out this great article by @WExline in @sportsnetworker http://t.co/WFZXVuk3 – both of them are outstanding alum! @drewrobertssm Appreciate the shout out. @USFSportMgt students will continue to strive to create a lasting impact on the sports industry. @geoffreyswhite Much appreciated man. All good in the land of the swoosh? Thanks for the likes Robert and Allen! @geoffreyswhite great article wasn’t it! ?